As angry commuters took toTwitter requesting the police to clear the traffic, this is the second such incident in a week. 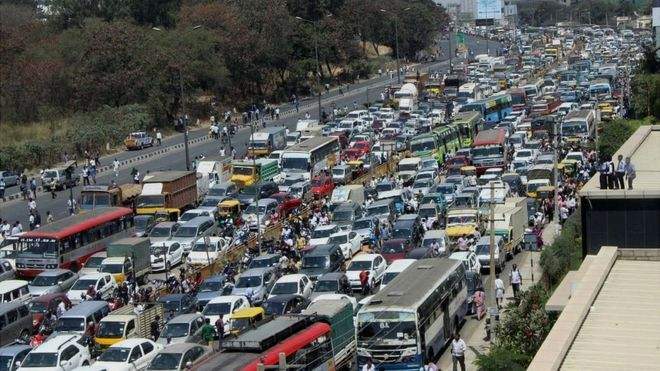 BENGALURU: While traffic in Bengaluru has always been a huge issue for its citizens, commuters travelling at KR Puram on Saturday morning had to face many woes as a Bangalore Metropolitan Transport Corporation (BMTC) bus broke down near the Tin Factory bus stop at 6 AM resulting in a traffic jam lasting for over 3 hours. The situation worsened as workers of the Bangalore Electricity Supply Company (BESCOM) were digging up the road near the bus stop, hence, vehicles could not move until the bus was out of the way. As angry commuters took to Twitter requesting the police to clear the block, police officers rushed to the spot and towed the bus away. @krpuramtrfps Respected sir. There are plenty of vehicles which travel in the opposite wrong side towards sub-registrar office in KR Puram.Kindly Act immediately & try to solve the problem. “It took over three hours to clear the traffic. Also, another problem is that both sides of the main road have been dug up with one side by BESCOM and a gas pipeline work being carried out at the other side near the MM Temple. 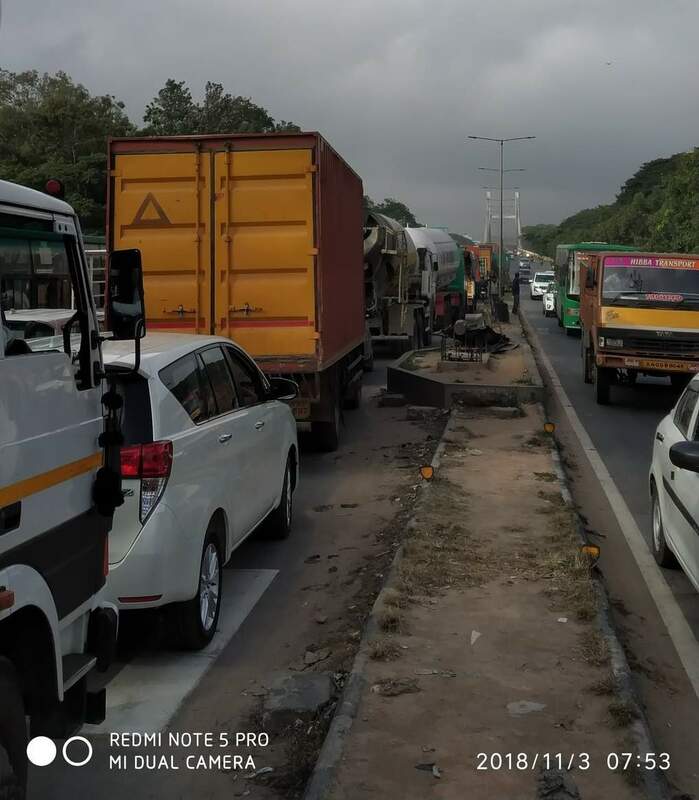 Besides, bigger vehicles such as trucks and buses have to pass through the road through the jam,” said an officer attached with the KR Puram Traffic Police Station. This is the second such incident in a week after GAIL officials asked the traffic police to divert vehicular movement on the ITPL main road as a precautionary measure in Whitefield on Monday.